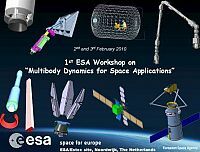 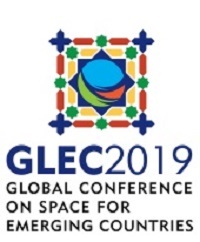 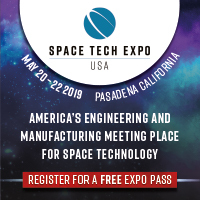 1st ESA Workshop on Multibody Dynamics for Space Applications | Space Agenda, The space related events calendar! 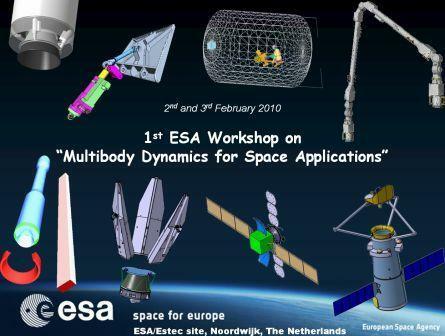 The ESA-ESTEC Structures & Mechanisms division (TEC-MS) is pleased to announce the 1st ESA Workshop on “Multibody Dynamics for Space Applications” to be held at ESTEC on the 2nd and 3rd February 2010. 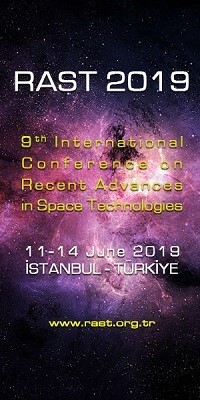 This event will be followed by the Mechanisms Final Presentation Days 2010 on the 4th and 5th February 2010.